Having won the toss, PSR decided to bat and opened with Max Baker-Smith and Alfie Clifton. Baker-Smith was caught by keeper Max Lee in the 13th over with the score on 57 and one ball later, Clifton was bowled by Scott Peterson. (Baker-Smith 37; Clifton 11 runs.) This brought two new batters to the crease – Harry Jordan and Dan Hayden. They vigorously set about the Ley Hill bowling and took the score on to 165 in just 10 overs before Hayden was caught by newbie Josh Rennie off the bowling of Lewis Thompson for 74 (from just 35 balls) and Jordan followed a couple of overs later when he was stumped by Lee (bowled Thompson) for 32. 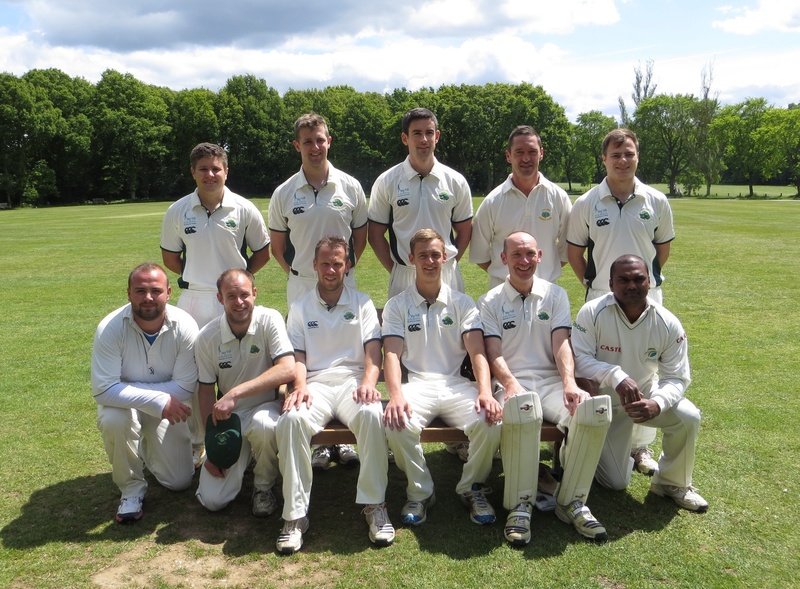 The next pair were Senthil Muniasamy and Scott Harris and they had another magnificent stand of 113 to take the score on to 291 before Muniasamy was caught by Callum Wilson, bowled Ben Moultrie-Ford for 75. But PSR weren’t done yet. Harris returned to the pavilion three overs later having scored 52, but captain Richard Ashton stayed put and scored 31, with the remaining batters chipping in as well and PSR were finally all out in exactly 51 overs for 372 runs. Pick of the Ley Hill bowlers was Craig Ottaway, who took 4 for 71 (taking him to more than 40 wickets for this season), ably supported by Thompson (3 for 109) and Peterson (2 for 74). Lee ended the innings with a stumping and two catches. Ley Hill’s response simply did not match the first innings, and at 56 for 3 it seemed as though they were fighting a losing battle, with Moultrie-Ford gone for 16, skipper Craig Peterson for 31 and Thompson for just 1 run. Then came a courageous stand of 61 between keeper Lee (22) and Wilson (38), but once again wickets were falling in pairs and they were both dismissed with the Ley Hill total on 117. Joe Yerrell struggled to 11 and Scott Peterson to 20 runs (not out) but it was Craig Ottaway who took the bull by the horns with 51 runs before being caught by PSR keeper Gerry Bacon, leaving Scott Petersonand Rennie to shut up shop and ensure that the game ended in a draw. Best of the PSR bowlers was Scott Harris with 3 for 46, supported by Dan Hayden (2 for 39), Sam Fooks (1 for 36) and Dion Sampson (1 for 38). This was the final match in the Championship Division of the Berkshire/Chiltern Leagues and Ley Hill has finished the season in 7th place. A full score card for this match can be found if you navigate to “Information – Documents – Score Cards”.